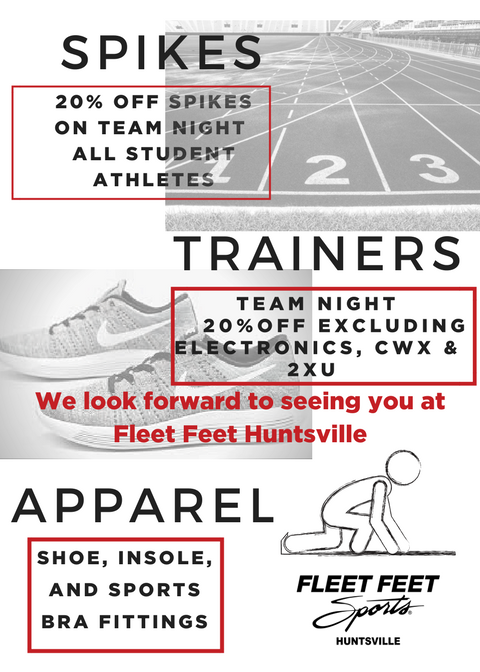 Fleet Feet is proud to bring your Cross-Country team this great opportunity. We are here to get you ready for your 2018-2019 goals – here’s a chance to get high quality shoes with local experts who will help you through the shoe fitting process and get a great discount at the same time! This is one night only – so please mark your calendars after you sign up. We will have pizza and sodas. Kick the season off with Fleet Feet.